Interesting thoughts on Billy Graham. 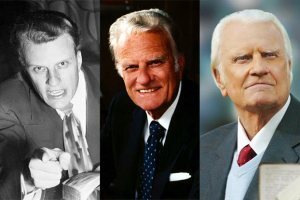 By the time you read this, it will have been 9 days since the passing of Reverend Dr. Billy Graham. People will have attended his funeral and perhaps, some of the shock will have settled as the world comes to grip with the reality that he is no longer living among us. I have been pondering what prophetic insight I could glean from his passing, especially in light of so many others who have both previously have prophesied about him. While I don’t claim to be as anointed as those who have a more public presence, I no less believe that God has shared with me some things to take note of.